Be the first to share your favorite memory, photo or story of Monica. This memorial page is dedicated for family, friends and future generations to celebrate the life of their loved one. Monica Birchard, age 57 of Oxford, January 25, 2019. 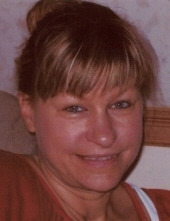 She is survived by her husband Chad Birchard, her daughter Nicki (Jack) Burns, her grandchildren Clayton and London Hoxsey, and siblings: Claude Holcomb, Karen( Bill) Vodry, Claudia Holcomb, Tom Holcomb, Anne Spielmaker, Mary (Fred) Fifelski, Robert "Bob" Holcomb, David Holcomb, Cynthia "Cinda" (Henry) BeBee. Funeral from Lynch & Sons Funeral Directors, 39 W. Burdick, Oxford, on Friday, February 1, 2019 at Noon. Visitation will take place at the funeral home Thursday, January 31 from 3-8 PM, and on Friday from 11 AM-12 PM. Interment at Great Lakes National Cemetery, Holly, MI. "Email Address" would like to share the life celebration of Monica Birchard. Click on the "link" to go to share a favorite memory or leave a condolence message for the family.